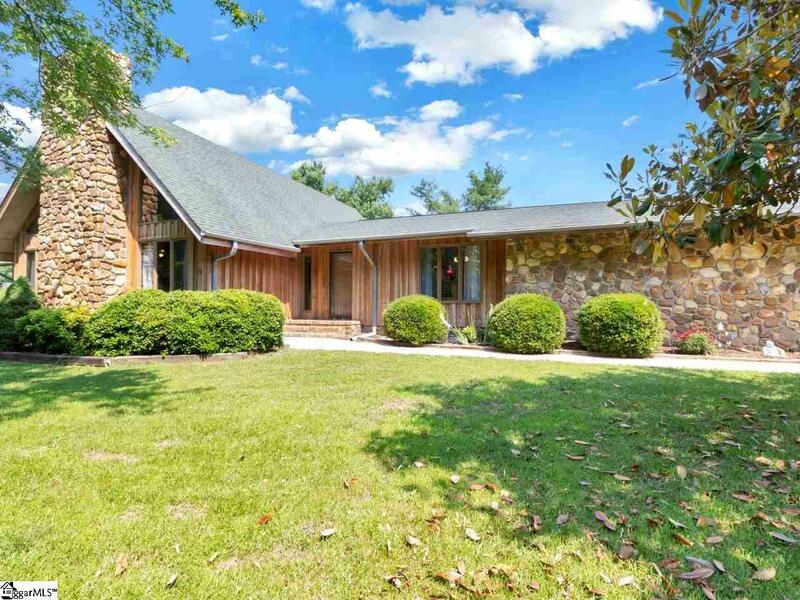 Beautiful cedar-sided home on a three-acre mini-farm only 20 minutes away from Downtown Greenville! 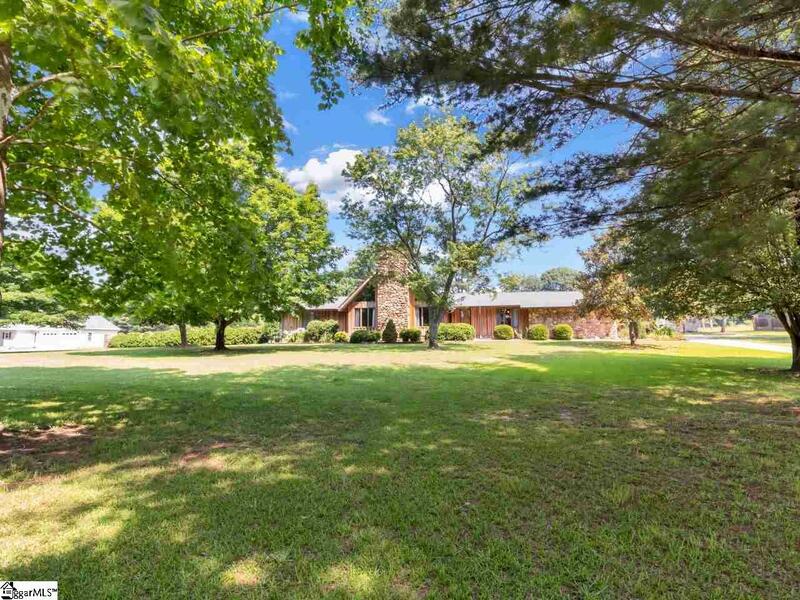 Situated on a narrow road in Pelzer surrounded by nice homes on similar lots. Across the road a relaxing view of a 21-acre farm with goats and (in a back pasture) Angus. 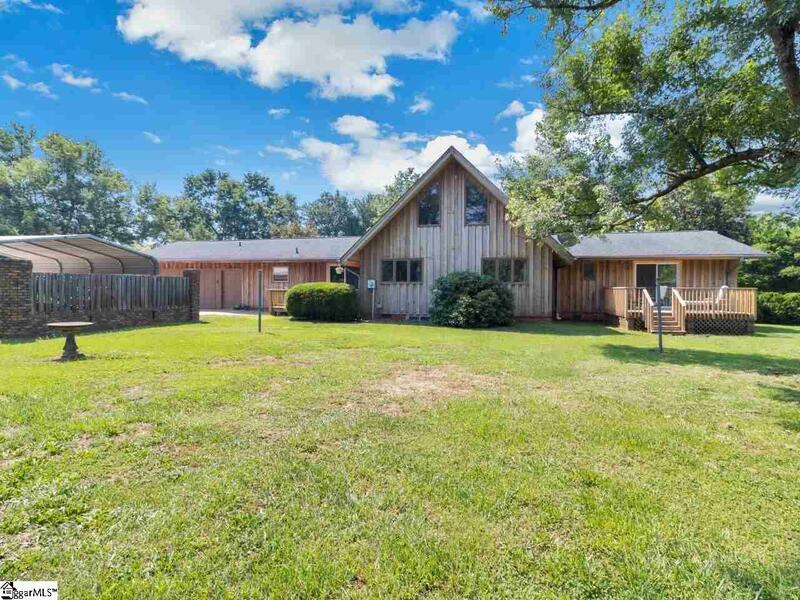 The property has a small barn with power and water. Three pastures with multiple gates and each with water. Nicely landscaped yard with 30 plus trees including dogwood, pear, plum, pecan, sycamore, tulip poplar, oak, maple and yellow and white pine. Multiple gardens, privacy fences grace the yard. 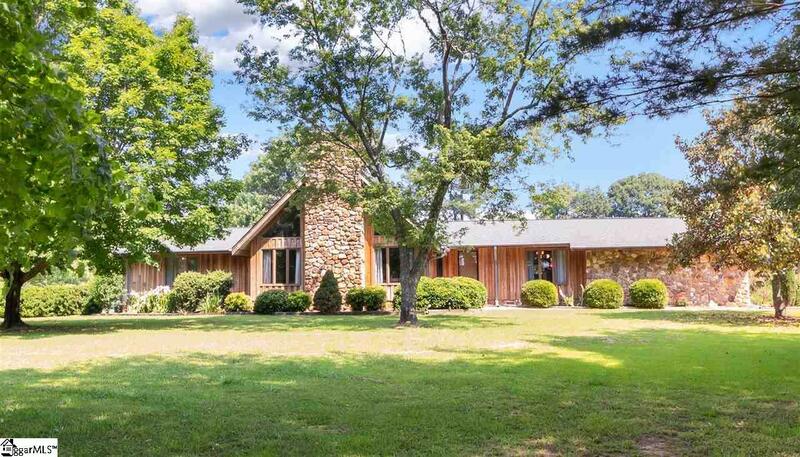 This home features an eight-foot-wide chimney that can be seen from outside the home and from the living room with a dramatic 22-foot cathedral ceiling. The large masonry fireplace includes a cooking grate. The seller has made many upgrades in the past two years. New oak floors throughout the living room, foyer, kitchen and dining area, new carpet in the bedrooms and loft. Remodeled kitchen with granite counter-tops and an extra large sink and built-in desk along with a new KitchenAid gas range and refrigerator. Storage galore with a storeroom in the back of the two car garage with access to doors to both the mud-room/laundry and kitchen. There is also a shed workshop with power and is on its own electric meter. Laundry has a washer, dryer, slop sink and a pull-down ironing board. Access to attic storage is through pull-down stairs in garage. High-quality ceiling fixtures throughout, some new, some vintage and original to the property. New stonework entry in the foyer and around the hearth. New three-light ceiling fans in the living room. Master bedroom features his and her baths. Hers has new granite counters, elevated tub with faux-marble shelving and linen closet a new LVP floor. His has new counters and redone with subway-tile walls and basket-weave tile floor. Walk-in closet has back storage area and access to the attic above the bedroom. The second bedroom has an en-suite bath with new tile throughout, updated vanity with glass-bowl sink and waterfall faucet and linen closet. The third bedroom features an adjacent half-bath off the short hallway that can be made private with the outer door. Room features new tile floor. The HVAC system (two units) was replaced in 2016 and the supplemental heaters were changed over to new gas-fired models. The new tankless gas water heater was added at the same time. New water shut off added at the home. ADT security system in place. Come to see this beautiful property today! Listing provided courtesy of Mike Skillin of Exp Realty Llc.